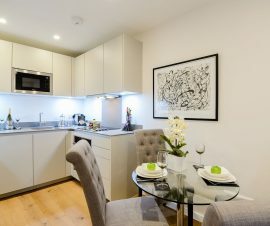 Moments away from Borough & Southwark Stations these smart serviced apartments are an ideal choice for both business and leisure travellers. 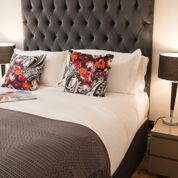 You will find yourself within walking distance of Borough Market, The Shard and the Tate Modern. Travelling into the city from here will take mere minutes making sure that you spend time enjoying your time in London, not being stuck on public transport. These one and two bedroom apartments are equipped with all the modern conveniences to make your stay truly comfortable. We provide free and unlimited business broadband to keep you connected. There is also a complementary weekly maid service included in all stays of 7 nights and over. During your stay our team will be available 7 days per week, and 24 hours per day for emergency support. Enjoy the comfort of your own private apartment, with the peace of mind that a professional team is on standby should you need assistance.